Don't miss out on what should be yours. We all work hard for our money, so the thought of letting free money slip through our fingers is almost inconceivable. Yet every year Canadians do just that by not taking full advantage of value that is rightfully theirs. Here are some ways to help ensure you’re getting all that you’re entitled to. Canadians could be losing out on as much as $3 billion by not taking full advantage of the retirement savings plans offered by their employers. Most defined contribution pension plans allow employees to contribute a percentage of their paycheque, which is then matched by the company – that’s free money towards your retirement! As an added bonus, these plans often have lower management fees than individually held investments. Ask your human resources department if your company has a retirement savings plan and how you can start contributing. Who doesn’t love vacations? Apparently, we don’t – a recent survey found Canadians forfeit 31 million vacation days every year. There are several reasons why employees don’t take time off: a heavy workload, precarious employment or fear of missing out on a promotion. However, choosing work over play can backfire. Without time off to re-energize themselves, workers actually become less productive and more prone to burnout. And don’t forget that vacation days have monetary value – for example, a worker making $50,000 a year who doesn’t take two weeks of vacation is essentially donating $1,923 to their employer. Make it a goal to sit down with your calendar and book some time off. Whether it’s a two-week getaway or several long weekends, you owe it to yourself to recharge. If you are a full-time employee, chances are your employer offers a group health and dental benefits package. Coordinating benefits with your spouse can help you get more money back for your medical expenses. For example, if your plan covers 80 per cent of a dental treatment, you can submit a claim through your spouse’s plan for coverage of the remaining 20 per cent. Endless reward programs are offered by retailers, hotels, airlines and gas stations. The key to racking up points is to join a reward program that fits your spending habits, rather than trying to change your habits to maximize rewards. A recent poll found that Canadians belong to an average of 12.2 loyalty programs and are active in at least half of them. The result is that the average cardholder is sitting on 50,000 points, which may be worth hundreds of dollars. A cash-back credit card that automatically credits money back to your account can be a simpler option – look for a card that pays a higher percentage on items you normally purchase. Almost as disappointing as leaving money behind is frittering away dollars on banking fees. Look for an account that works for you – such as one offering a high interest rate on your savings or allowing free unlimited everyday transactions. If there’s a minimum balance involved, consider whether you can maintain it easily. Financial institutions often offer attractive promotions for opening a new account – read the fine print to confirm that the account will suit you even after the introductory offer expires. 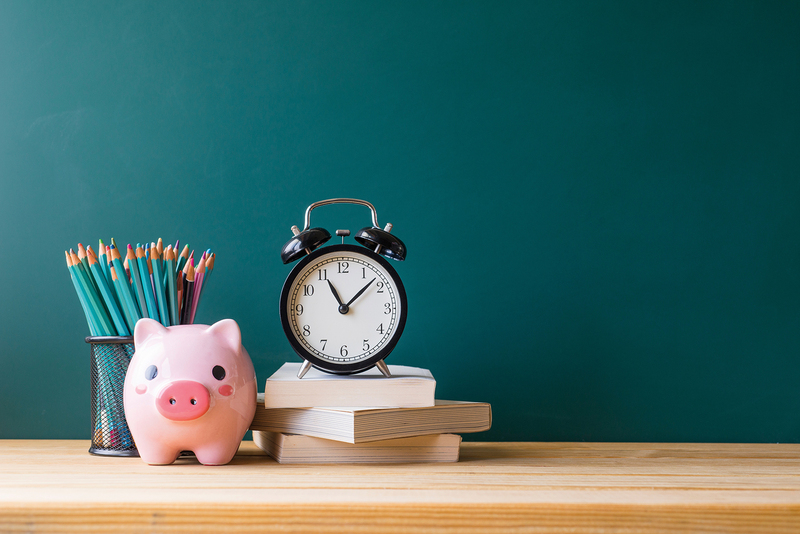 Opening a Registered Education Savings Plan allows you to save for a child’s education while also benefiting from the Canada Education Savings Grant, which matches 20 per cent of your contributions up to $500 per year. That’s like a guaranteed rate of return on your investment. Ask your advisor about opening an RESP and setting up regular contributions to take full advantage of government grants. Knock some money off tuition fees. By examining your habits and doing a little research, you could reap some financial rewards. Ask your advisor for more ways to ensure you’re getting all that should be yours.